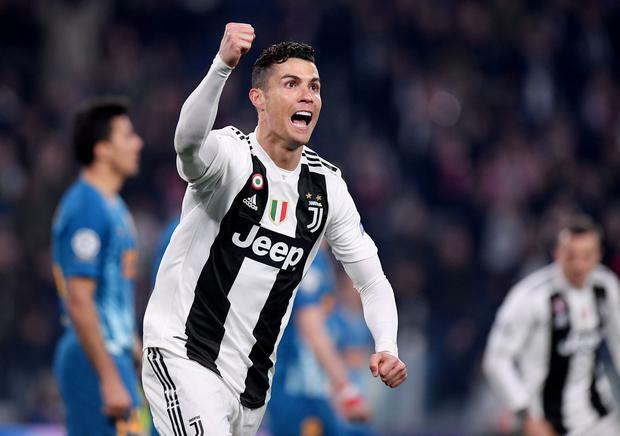 Cristiano Ronaldo scored a hat-trick, including two headers and a late penalty, as Juventus stormed back from a 2-0 first leg deficit to beat Atletico Madrid 3-0 in the return and reach the Champions League quarter-finals on Tuesday. With Atletico packing their defence, Ronaldo made the crucial breakthrough in the 27th minute when he rose to head in Federico Bernardeschi’s cross at the far post. The 34-year-old levelled the aggregate scores in the last-16 clash three minutes after halftime with another towering header, this time from Joao Cancelo’s cross. With four minutes left, Bernardeschi powered into the Atletico area, was pushed in the back by Angel Correa and Ronaldo blasted home the penalty.